Knowing what to do in case of snakebite could be the difference between life and death of a patient. At least one type of venomous snake can be found in every state of USA, except Alaska and Hawaii. The World Health Organization estimates that snakebites kill between 20,000 and 94,000 people worldwide each year and according do Jems antivenins treatment doesn’t necessarily reduce local tissue damage that leads to permanent disability. 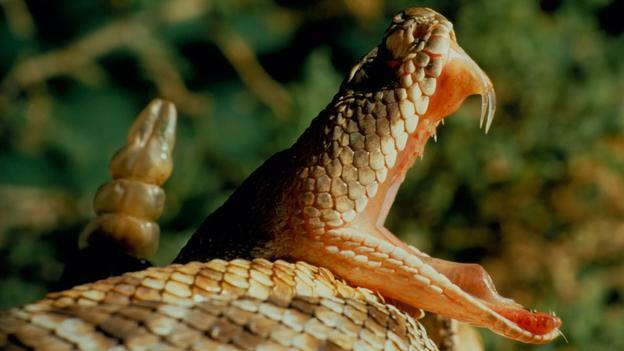 Studies show that most bites involve limbs/extremities, and snakebites cause up to 400,000 amputations worldwide each year. Most bites occur in warmer months, when people enter snakes’ natural environment or during attempts to handle a snake. In case of a venomous bite the objective is to save life and prevent lifelong disability. In case the snake is nearby, it is important to be aware of the surroundings. First of all remember to stay calm and don’t panic. Most snakes are aggressive just after a provocation, so don’t disturb them. Don’t try to kill or capture a live snake, and you should also be aware of a dead snake because it can cause an envenomation too. If you are treating a bite victim or if you have been bitten keep in mind that any movement or exertion may increase the spread of the venom through the body. In case of snakebite keep the patient calm and restrict his overall movement. Monitor breathing, circulation, disability of nervous system, exposure and environmental control and begin treatment immediately. Take his vital signs repeatedly (at least every 5 minutes) and keep his body heat. Remember also to remove jewellery or anything on the bitten limb. Signs and symptoms: Is the patient experiencing any pain, numbness, paresthesia, dyspnea, nausea, vomiting, dizziness, edema, erythema, syncope, dyspnea, difficulty swallowing, confusion, hypotension, hemoptysis, epistaxis, tachycardia, diarrhea, seizures or elevated temperature? Allergies: Treat allergic reactions to snakebites per local protocol. Medications: Does the patient use prescription blood thinners or anticoagulants? Past history: Does the patient have a history of previous snakebites or antivenin therapy given? When you call the hospital ask the staff to contact a poison control centre and locate the nearest antivenin resource and physician consultants and describe both the snake and the bite. If you are in a remote area and definitive care is over 30 minutes away, there are additional steps to prevent the spread of the venom. Cover the site with a sterile pad or several 4 x 4s and then immobilize the affected limb with a splint. If the victim has symptoms of neurotoxic envenomation (from a coral snake or other elapid) you should use the pressure immobilization method, wrapping the affected limb with a wide and firm elasticated pressure bandage, starting from the extremity and working the wrap up the length of the arm or leg; keep the limb below heart level and marking the location of the bite. Try to determine the type of snake or its description through visual clues while on scene or patient or eyewitness accounts. While delivering the patient to the ED or the appropriate facility, a specific antivenin is given to neutralize the effect of the venom. Vials of antivenin are given by IV and the clinical course is followed to determine duration of therapy. Patients are stabilized and laboratory abnormalities are corrected, especially if the envenomation has resulted in anticoagulation abnormalities. Antivenin is expensive and is sometimes in short supply. Recommendations are that it should be used only in patients where the benefits of treatment outweigh the risks of antivenin reactions (anaphylaxis or serum sickness).